Last month, the Mars landing was big news when, amid much fanfare, NASA’s rover Curiosity successfully landed on the surface of Mars. Within moments, the Curiosity began transmitting images back to earth and will continue to do so for some time. For geeks and non-geeks alike, the Curiosity’s arrival at Mars was an unforgettable event and, by all accounts, was an engineering and scientific marvel. With so much large-scale data processing to be done, JPL is leading the way in the adoption of cloud computing in the federal government, said Khawaja Shams, manager for data services at La Canada Flintridge-based JPL. In other words, cloud computing saves NASA money and dramatically increases its computing power, making the Mars mission both feasible and affordable. 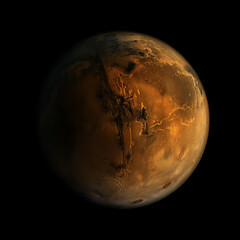 Using AWS’s cloud to operate the mars.jpl.nasa.gov website, Shams noted, enables JPL to get images, videos and developments to the public quickly, without having to build and operate the infrastructure in-house. According to Amazon, AWS enabled JPL to construct a scalable Web infrastructure in only two to three weeks instead of months. So, for NASA cloud computing offers a multitude of benefits, including security, flexibility, and scalability. Coincidentally, according to the American Bar Association’s 2011 Legal Technology Survey, these are the very same reasons that lawyers are increasingly relying on cloud computing in their law practices. Specifically, the ABA survey established that the main reason lawyers use cloud computing platforms is convenience. 70% of attorneys who use these services cited the ability to access data from anywhere as the main incentive, while 55% stressed the importance of 24/7 access to data. Simplicity and affordability were also cited as important factors. Low cost was important to 49%, quick start up time was a factor for 44% and 43% appreciated the ability to eliminate IT staff and software management requirements. So, whether it’s lawyers or NASA–cloud computing facilitates convenient, secure computing that is both powerful and affordable. It’s not surprising then that both MyCase and NASA use Amazon Web Services to deliver cloud computing services to their end users in a reliable and secure environment. The writing is on the wall. Cloud computing is here to stay. For businesses, including law firms, and governmental agencies like NASA, cloud computing is the future and the future is now–on Mars and beyond.